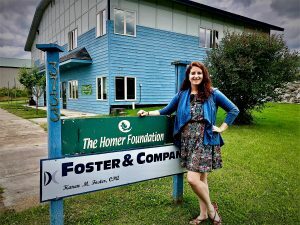 The Homer Foundation would like to welcome Lauren Seaton as our new administrative assistant. She’s a technology expert and will help the foundation in myriad of ways, including attending meetings, attending to daily office activities, coordinating social media, and other duties as assigned. Lauren brings five years of teaching experience to this position, just recently leaving her position as a teacher at Homer High School, where she learned many different means of technology as well as educating the students in different technologies. 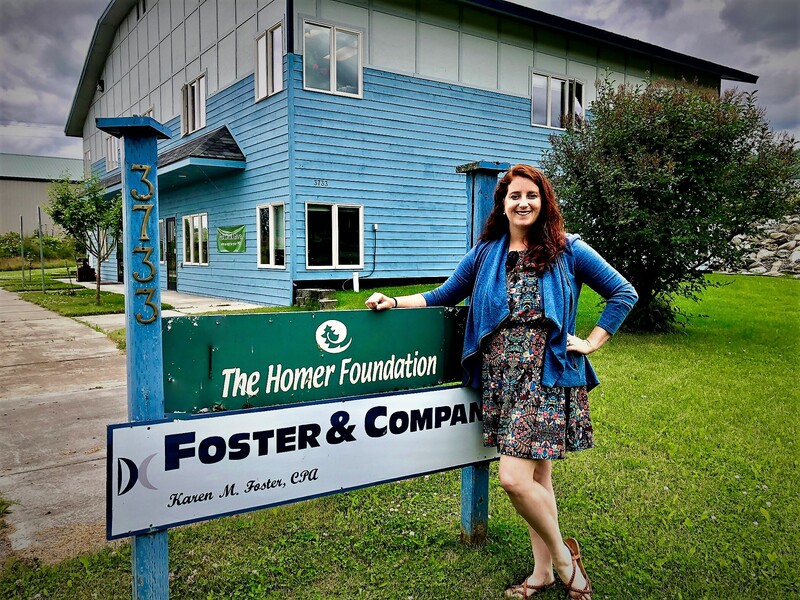 She has been a member of the Homer community for 8 years, and is excited to grow with the Homer Foundation for many years to come. Lauren is originally from Arizona, and received a Bachelor of Arts in Music from the University of Arizona, but moved here after college and quickly fell in love with the strength of the communities on Alaska. She then attended the University of Alaska Southeast and received a Masters of Arts in Teaching with an endorsement in the sciences. She has a diverse background including music, chemistry, and natural resources management, which makes her a strong asset to the variety of projects for the foundation. Lauren has also spent the last three summers running the tender, the Totem, in Cook Inlet. When not immersed in her jobs, Lauren spends time with her husband Rand Seaton (a born and raised Homerite) and her two dogs, Bear and Delilah. She also is known for cooking and baking and enjoying the nature of Homer. Lauren is excited to begin working for the Homer Foundation and is a bright star that will help guide us through the transitions ahead. Be sure to keep an eye out for her at meetings, events and for her new social media posts of Facebook @The Homer Foundation.